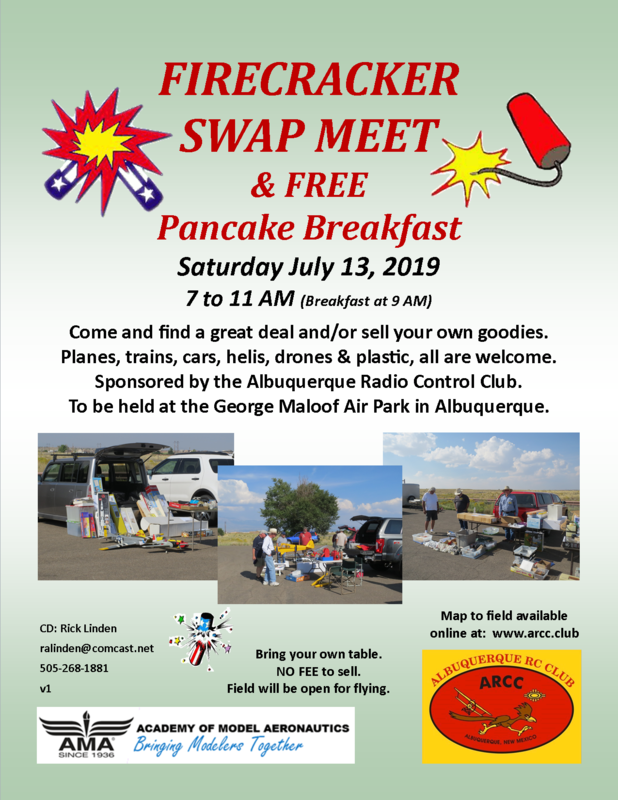 The next swap meet and pancake breakfast will be held Saturday July 13, 2019. Mark your calendar and we'll see ya there! Click here for a pdf copy of the flyer. 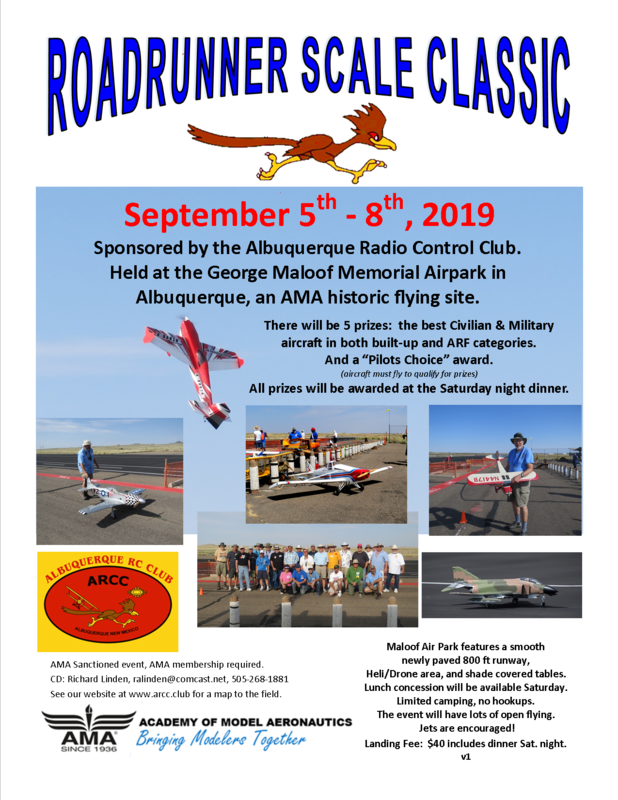 The 2019 scale meet will again be held the weekend after Labor Day, September 5-8. There will be a Saturday night awards dinner (free for pilots). So mark your calendar and we will see you there. This is our first annual 3D event. There will be 3 days of flying, meals, plane pin, and pilot's drawing ticket for prizes. 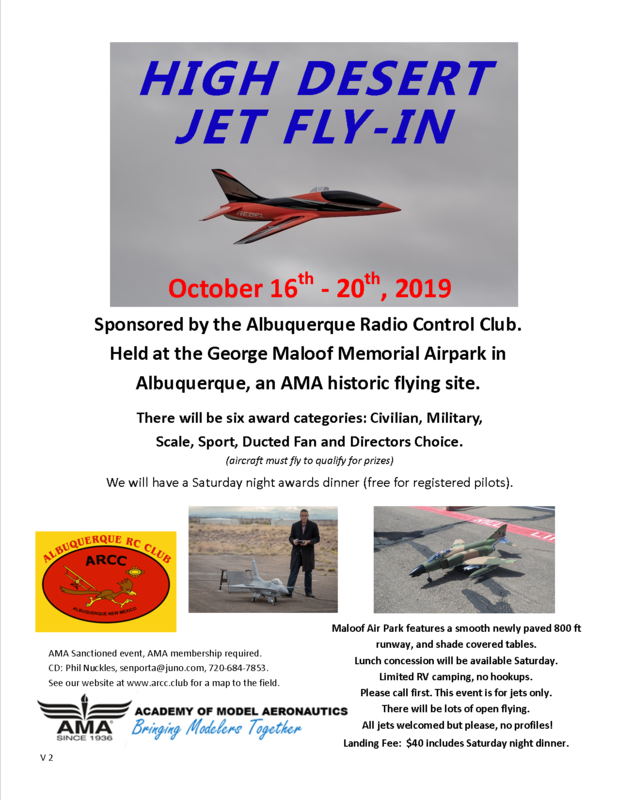 ARCC's second Jet Fly-In will be held October 16-19, 2019. All jets are welcome and there will be Pilots Choice awards for the best electric and turbine powered jets. 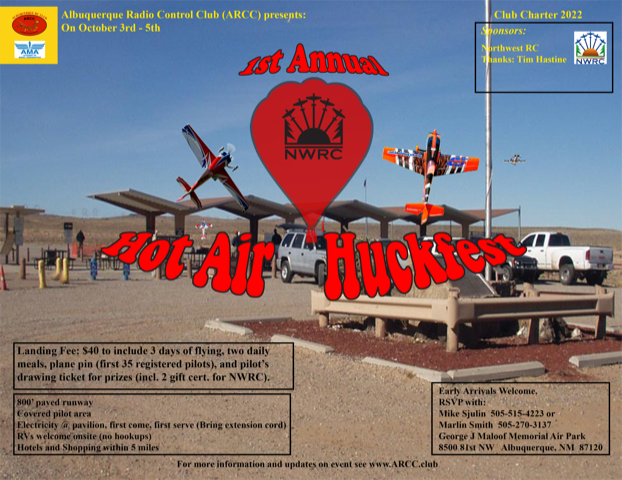 We will also have a Saturday night awards dinner (free for pilots). 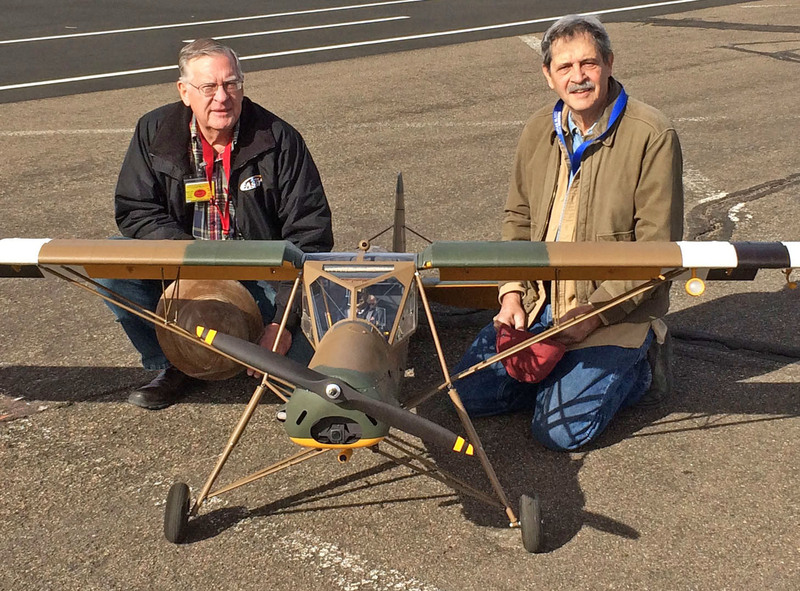 The Albuquerque Radio Control Club is now 60 years old. 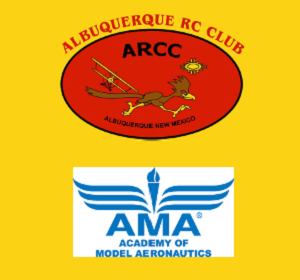 We do our flying at the George Maloof Memorial Field on the west side of Albuquerque. Charlie took Best WWII Military for his great looking Fieseler Storch. Top Gun was held the first weekend in May in Lakeland Florida. 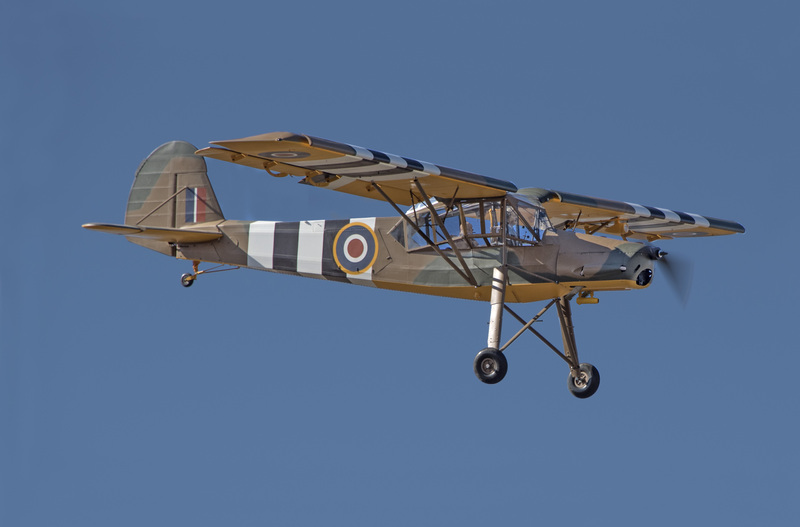 The Storch is the FIRST scale model Charlie has ever made!! 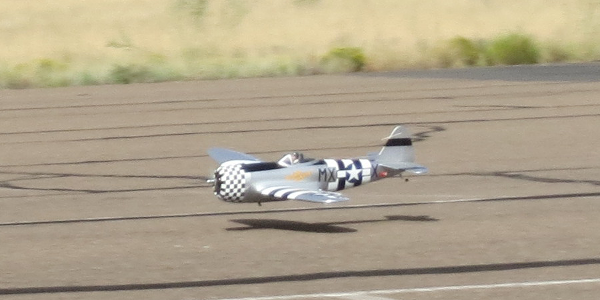 Stan Johnson had the task of flying the model and also did a great job. Congratulations to both of them. The good folks at the Albuquerque Parks and Recreation Department have been at it again. They have cleaned up the Heli Pad area, making it once again usable. Thanks for a job well done. The Albuquerque Parks and Recreation Department has had the awning at the Maloof field repaired. We thank them for taking care of this repair.